Highland Holiday Pocket Potholder Set is perfect Christmas present and a great addition to your Christmas kitchen decor. Highland Holiday Pocket Potholder Set features pine cones and the beautiful Christmas red bow. 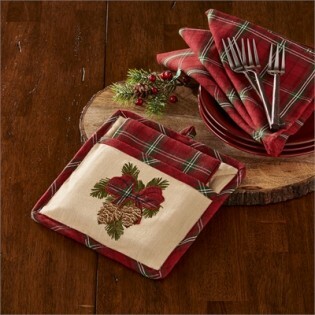 Matching Highland Holiday Placemats, napkins and the table runner available.